It could be said that the year 2019 will be proven as mixed results given for the Sagittarius people in the health front. The Sagittarius people should not allow even a slight carelessness in regards to the heath this year. You may get trapped in minor- major illnesses, body gets tired, and lethargy and lack of energy will be there during the year 2019. Mental illness will cause troubles. Therefore, as per Sagittarius health horoscope 2019, regular exercises should be done to make body energetic. Even if you have had a tiring day, at least make it a point to take up a little medication. This will improve your mental health and prevent mental breakdowns and disturbances. If you have weight issues, start working on it now. Obesity can lead to a number of diseases and illness. Even if you’re suffering from any ailment right now, make sure you pay extra attention to it this year 2019. 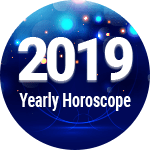 According to Sagittarius health horoscope 2019, if you be extra cautious this year unwanted diseases and sicknesses won’t be able to get to you and eventually you will be set to Rock and Roll in Life. Don’t be lethargic, make time for workouts and rest as well. Focus on every aspect of your life or else while focussing on just one, the others might get deteriorated drastically. How Will Your Life In 2019? There is a possibility for these people from the start of the year till April to get obesity, diabetes kind of illnesses or diseases. Moreover, female diseases might seem to be increased. Female zodiac sign holders may suffer from pains in the uterus and leg joints as is seen in your 2019 Sagittarius health horoscope. This zodiac sign holders may find their diseases get worsened during April to August and there is possibility of the disease to become severe or the old diseases reappearing. But there will be improvement in health after August. But Ganeshaji is saying that the special care of health should be taken throughout the year. From April to August your horoscope stresses on extra healthcare and fitness. Go as per your Sagittarius fitness horoscope 2019 and it will work wonders for you. 1. Women need to be very careful with their reproductive wealth. If Sagittarius woman are going to uterine pain or any other illness, it is best that they go and visit a doctor. 2. All Sagittarius natives should take quick action for joint pain to avoid aggravation of the present situation, as per your Sagittarius health predictions 2019. 1. Join the gym, exercise, eat healthy home cooked meals and maintain your weight. This will help you to have a fit and healthy body. 2. As per Sagittarius health horoscope 2019, you need to avoid skipping meals in spite of hectic and exhausting health schedules. Sagittarius Health And Fitness Horoscope 2019 Overall rating: 4.7 out of 55 based on 1123 reviews.